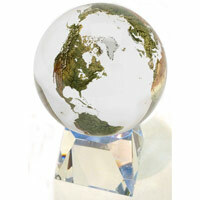 This stunning 6" solid crystal globe features full color natural earth tone continents produced in stunning detail. 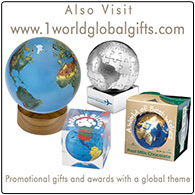 Each globe is geographically accurate and is hand made by skilled artisans in the United States. The natural relief shading is amazingly detailed with visible mountain ranges, hundreds of rivers and islands, ice caps, forests, and deserts. This unique clear crystal globe sits freely on a pyramid shaped crystal base, allowing you to pickup and hold the world in your hand. An impressive solid crystal globe that makes a truly exquisite item for your desk, table, or mantle as well as an ideal gift item. Included is a presentation gift box and Storycard. 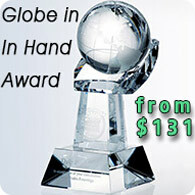 An impressive solid crystal globe that makes a truly exquisite gift item for your desk, table, or mantle as well as an ideal globe award. Included is a presentation gift box and Storycard. Crystal base can be laser engraved with your artwork. 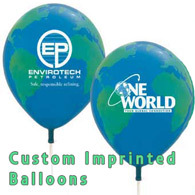 Please add this item to the basket if the product is being custom laser engraved with your logo or text. A setup fee is charged per each engraving location.